Unfortunately, child medication errors in hospital can potentially cause greater harm than adult medication errors. Adverse drug events are often serious and sometimes fatal. Selecting and prescribing medicine for infants and children is complex: Along with hospital pharmacists, doctors, nurses, and other health providers must take extra care because making a pediatric medication mistake can cause irreversible damage. Your child’s well-being is among the most precious things in life. If your child has been injured by a mistake in the prescribing or dispensing of medication in hosptial, negligent parties, from pediatricians to pharmacists to drug manufacturers, can be held accountable. Call child medication-error attorney Jeff Killino at 877-875-2927 for assistance in obtaining the compensation your child deserves. According to the American Academy of Pediatrics (AAP), the safe administration of medications to infants and children in hospitals requires safeguards beyond those employed for adults. As a result, the AAP has called on pediatricians to help develop more effective methods of prescribing and administering medications to children as well as reporting medication errors. Still, medical errors are substantially higher than previously thought. For instance, researchers in the Journal of Pediatric Pharmacology and Therapeutics (JPPT) found that, even with practice guidelines and prevention strategies, mistakes continue to happen. Medications prescribed to children are typically formulated and packaged for adults. Before administering to children, these medications must be adjusted in distinct volumes or concentrations to be effective and appropriate in treatment. Having to alter and calculate dosage increases the potential for error. Staff in adult-oriented hospitals, particularly in emergency rooms, may lack the necessary information and reference materials to safely prescribe and administer the medication. Young children who are small and already ill are typically less able to physiologically tolerate medication errors because their renal, immune, and hepatic functions are still developing. Several reports have detailed pediatric medication errors in emergency department settings. Most adverse events included acetaminophen delivered rectally. Risk for error was greater when medications were ordered by trainees or for seriously ill patients. Researchers at Nationwide Children’s Hospital analyzed more than 123,000 pediatric trauma discharges. Their study found that pediatric patients with chronic conditions experienced a medical error rate of 4 per 100 discharges. According to a study published in the Journal of Pediatrics, adverse drug events were 11 percent in a random sample of 960 pediatric patients across 12 different children’s hospitals in the United States. 22 percent of all adverse drug events were identified as preventable, while 17.8 percent could have been identified earlier, and 16.8 percent could have been mitigated more effectively. The most common medications that caused adverse drug events were opioid analgesics and antibiotics. The JPPT also found that over 70 percent of the drugs used in pediatrics have not been studied scientifically in these patient populations to assess patient safety. Investigational drugs often have product-related issues that increase error potential and routine practices in place to name, label, package and store investigational agents raise serious patient safety concerns. According to the US Pharmacopeia MEDMARX system, most child medication errors occurred during drug administration, especially related to improper dosing. The most frequent medication type involved in errors was diuretics to infants less than one year old. The largest proportion of harmful events occurred with calcium channel blockers. Medication errors with chemotherapy medications are also highly common in children. One study found that outpatient oral chemotherapy medication errors occurred in 17 of 172 medications (9.9 percent). Of the 17 errors, 12 were related to administration and 5 to prescribing, but none to pharmacy dispensing. All errors were related to either incorrect dosing or failing to administer an indicated medication. Some common errors associated with health information technology include computer or network malfunction, truncated input data, inability to order allowable item, incorrect default dose for medication, data entered under wrong patient name, incorrect merge of 2 patients’ data, critical abnormal test result alerts not followed up, discontinuation of medication without notifying staff, and billing requirements leading to inaccurate documentation. The JPPT also reported that 93 percent of medication errors in children might have been prevented by computerized physician order entry. 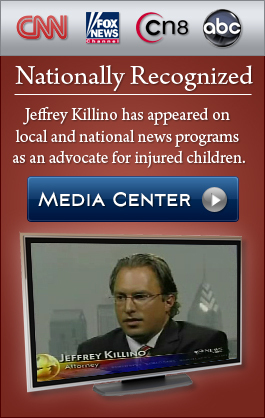 Child medical malpractice attorney Jeffrey Killino has extensive expertise and experience with all types of child malpractice cases, including medication errors that occurred in hospital. 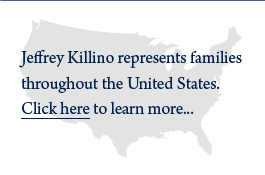 If your child has harmed and you suspect that your child’s injury or death was due to hospital medication error, attorney Killino can help you obtain justice from the responsible parties. Call 877-875-2927 for a free assessment of your case and additional information regarding your legal rights and options.